Cleveland, OH and Orlando, FL –October 19, 2018 ? J.W. Childs Associates (“J.W. Childs”) today announced the signing of a definitive agreement to sell SIMCOM Holdings, Inc. and its affiliated companies (“SIMCOM or the “Company”) to Directional Aviation, a family of companies whose singular focus is business aviation. The transaction is expected to close by November 2018 subject to the satisfaction of customary closing conditions. No financial terms of the transaction were disclosed. Headquartered in Orlando, Florida, SIMCOM provides training services at centers in Orlando, and Scottsdale as well as in the United Kingdom. It is the largest independent provider of flight simulator-based training services to the global general aviation, business aviation and regional airline markets. Cleveland-based Directional Aviation provides the kind of support that can come only from a firm with a dedicated specialization in private aviation and the resources to support the growth of its family of companies. Its global network and reach will enhance SIMCOM’s operational stability and provide industry best practices. From fractional jet ownership to jet cards and charter, to open and closed fleets, jet remanufacturing, maintenance, aviation parts distribution centers and more, Directional brings to SIMCOM a specialized knowledge of the financial, operational and technical needs of the private aviation industry. The demand for SIMCOM’s training services is robust and is projected to grow significantly because of the shortage of pilots worldwide. According to the International Civil Aviation Organization, world air traffic is set to grow by approximately 4.6 percent annually until 2030, resulting in a need for almost 70,000 new pilots a year. In addition, ResearchAndMarkets.com projects that the global simulators market, including military, commercial and private aviation, will grow from $16.62 billion in 2017 to $20.99 billion in 2022, a compound annual growth rate of 4.78 percent. “With this acquisition, we now can provide access to one of the world’s most highly respected brands in our industry, one known for its state-of-the-art proprietary technology and advanced flight training capabilities. At the same time, we look forward to serving a growing market that is critical to the continued safe operation of aircraft around the globe,” added Ricci. RBC Capital Markets, LLC acted as financial advisor to SIMCOM and Arnold & Porter Kaye Scholer served as legal counsel to SIMCOM. 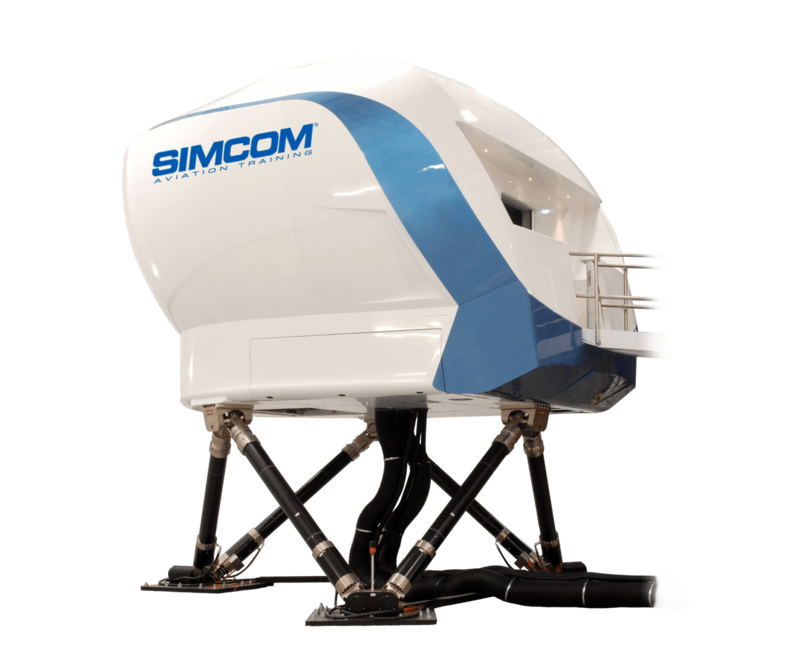 SIMCOM is the largest independent provider of flight simulator-based training services to the global general aviation, business aviation and regional airline market. Flight simulation is the only safe, cost-effective alternative to actual live-flight operations to train pilots, and SIMCOM addresses all of the Federal Aviation Administration and insurance mandated training requirements. SIMCOM owns and operates 48 flight training devices and full flight simulators providing training to approximately 6,500 pilots each year. For further information, contact SIMCOM at 1.800.272.0211, or see SIMCOM online at www.simulator.com. Directional’s OneSky Flight portfolio of private jet travel providers includes shared ownership/fractional jet ownership, jet card, membership and on-demand charter providers. Industry leaders representing MRO, private jet remanufacturing, aviation parts distribution and more also make up the Directional family. Directional Aviation is charting the course of private aviation, worldwide. For more information, visit www.directionalaviation.com.